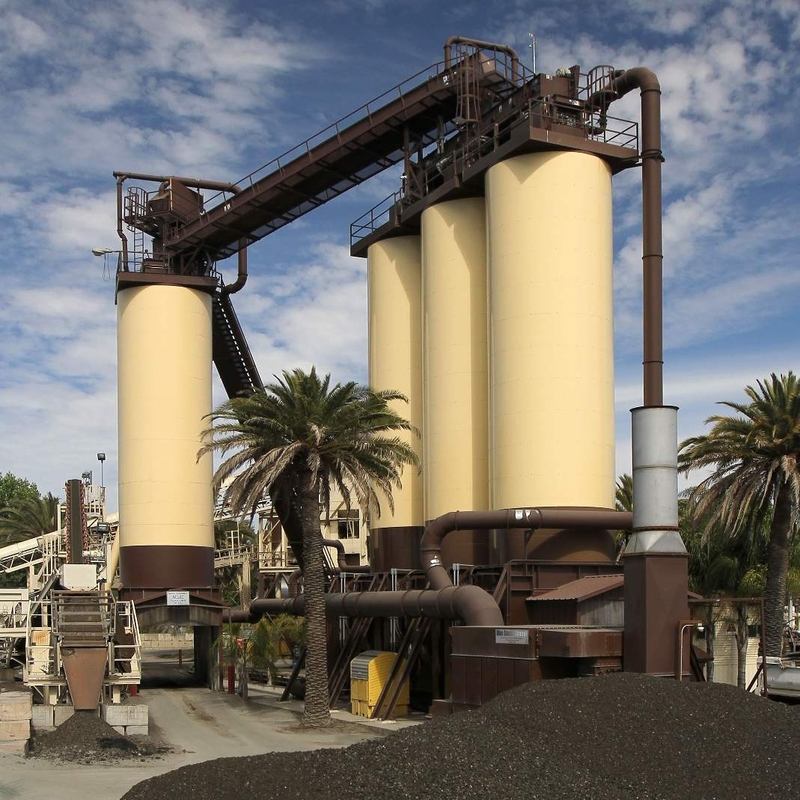 Asphalt can be used in a variety of applications depending on the mix chosen. At BoDean Company we offer an assortment of mix options to fit any project you seek to complete. One of the options offered is Bern Mix. Berm Mix is a specially formulated product that is used when constructing bituminous concrete curbs or berms. According to Wikipedia, a berm, often referred to as a dike, is described as a flat strip of land, raised bank, or terrace often bordering a river or canal. It can also be defined as a path or grass strip beside a road; or an artificial ridge or embankment. When our berm mix is used with special equipment, simply called a Berm or Curb Machine, users can create professional, industrial-looking, and effective obstruction barriers. Often times, our berm mix can even be used by the average homeowner without the use of a Berm Machine to create an equally effective berm, minus the professional shaping that a Berm Machine would produce. Berm mix can be used to create structures alongside roads, driveways, parking lots, adjacent to an asphalt covered surface, or whenever a curb barrier might be necessary or useful. Berm mix is used to create barriers that are often constructed as a means to divert water into a catch basin or in places where unwanted traffic may enter. BoDean Company is a quality producer of berm mix that is specifically formulated to be used in these instances and is formulated by the experts at BoDean Co. to be used in a variety of applications. Roads – Berm mix can be used along narrow and winding roadsides as an effective obstacle in keeping traffic from veering off of the road onto softer land. Driveways – Many homeowners will add a berm to their driveway as a barrier to keep cars in the desired areas and off of grassy areas. Parking Lots – Berm mix is often used in parking lots to create separation in parking spaces, giving drivers a clear indication as to where they should put their vehicle. Adjacent Asphalt Structures – Berm mix can be used to create a berm or barrier instead of a curb. For example, in areas where the ground is soft next to a roadway, a berm can be added to keep the car from going off of the shoulder. Ditches – Berm mix can be used in the creation of ditches to catch water runoff. Speed bumps – With the use of special equipment, berm mix is ideal for use in creating speed bumps. 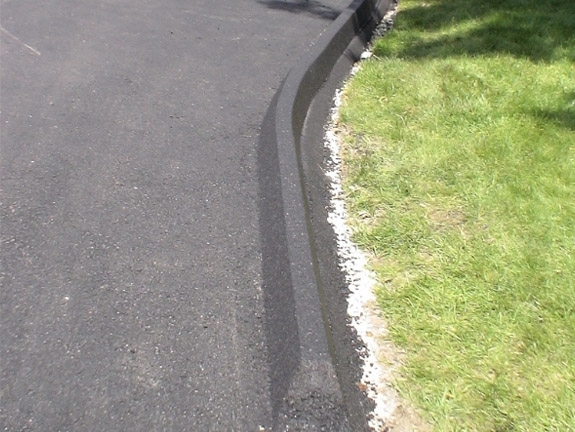 Curbing or adding a berm to your parking areas or driveways has several added benefits. The main purpose for adding a berm is to direct water and to create roadway barriers. The use of a berm can be beneficial at all levels, from home improvement to creating control in large construction projects. Berms can be used to help with common issues we may all encounter. Manage, intersect and direct surface runoff. Surface runoff typically happens when a storm causes a water source to overflow. The use of a berm will help keep storm waters from entering any unwanted territory and will provide a more desirable direction to the overflow. Road safety. Adding a berm on an existing or new roadway will help keep water from pooling in high traffic areas. It can also help provide a barrier to keep water from nearby water sources from entering the roadways, thus assisting in safer traffic flow. Assist in erosion control. Diverting water will assist in erosion control by giving the water an alternative route that leads to a catch basin rather than allowing continuous runoff on softer surfaces. Maintain your land integrity. Keep vehicles from damaging your grass or other areas by creating a berm along a long driveway or entrance that prevents the area from being driven on. The use of a berm can be quite beneficial to any business or home as a means to create a barrier or obstacle for unwanted water or traffic sources. Selecting the best quality products will make sure you reach successful project completion and lasting, effective results. Are you still thinking about adding a berm or curb? Call our expert consultants here at BoDean Co. who are ready and waiting to tell you more about our berm mix and to assist you in the selection of your materials. To schedule a time that works best for you, simply call today at (707) 576-8205 to speak a BoDean Company specialist or click here to request a free online quote.